Marilyn Monroe Spas, the company bringing a fresh new approach to resort spas, day spas and nail boutiques under the iconic Marilyn Monroe brand, today announced the opening of Timeless, a Marilyn Monroe Spa in Hyatt Times Square. Marilyn Monroe Spas are infusing the iconic star’s glamorous legacy and engaging personality into new, modern spa concepts that will set new standards for service, environment, product quality, and overall value in the resort and day spa industry. The guest experience is vibrant, playful and social, delivered by an engaging staff providing unmatched levels of service. Marilyn Monroe’s statement: “I just want to be wonderful” defines the company’s standard for how guests should feel after every visit. 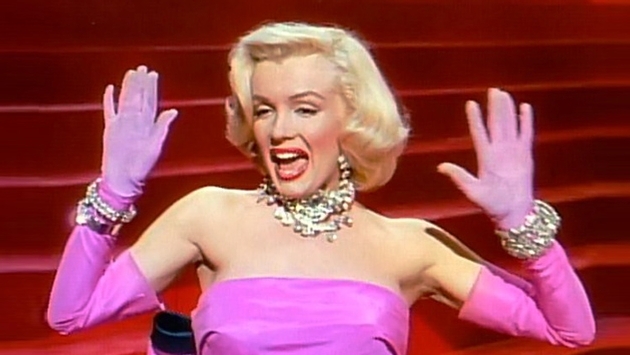 In New York, Marilyn Monroe Spa’s menu of services will include indulgent massages, body treatments and facials as well as manicures and pedicures. Featured services include Marilyn’s Signature Fassage, an effective lifting and relaxing facial massage, and Marilyn’s Must-Have featuring Steamy Wonderful. Additional glamour services, such as hair styling and makeup, will be added in the coming months. Marilyn Monroe Spas’ exclusive line of signature products that include body care, facial care, hair care, nail care, makeup, and spa lifestyle products are available at the Marilyn Monroe Spa in New York and at www.MarilynMonroeSpas.com. Wherever possible, Marilyn Monroe Spas’ products are made with the finest, certified natural organic ingredients available. Others, such as nail polishes are vegan and free of Formaldehyde, DBP and toluene. Marilyn Monroe Spas facial and body care products undergo rigorous third-party testing, support global fair trade farming and sustainability practices, and are cruelty-free. Appointments can be scheduled by calling 646-640-3830 or by visiting www.MarilynMonroeSpas.com.